One yellow gold floral brooch. One round brilliant cut diamond (0.13 carats: SI1 clarity: H-I colour). 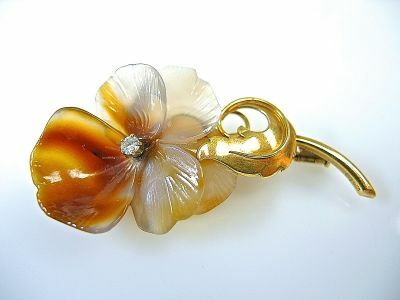 One five-petal floral carved agate.